It’s no secret that the Butler Ford team is a little envious of Butler Acura’s showroom cars at the moment. After all, between Chuck Butler’s 2003 NSX and the dealership’s 2017 NSX supercar, the showroom we share a parking lot with is looking more like a supercar museum than a place of business. But that’s alright, because while the new NSX was one of the most anticipated new cars in years, the Ford GT is in the exact same conversation and is supposed to begin production this month! Like the NSX, the GT was first introduced to the world at the North American International Auto Show in Detroit. Its debut was a complete surprise; Ford’s 600-horsepower work of art was designed in a basement in total secrecy, and its unveiling commemorated the 50th anniversary of the original Ford GT’s victory at the 24 Hours of Le Mans. 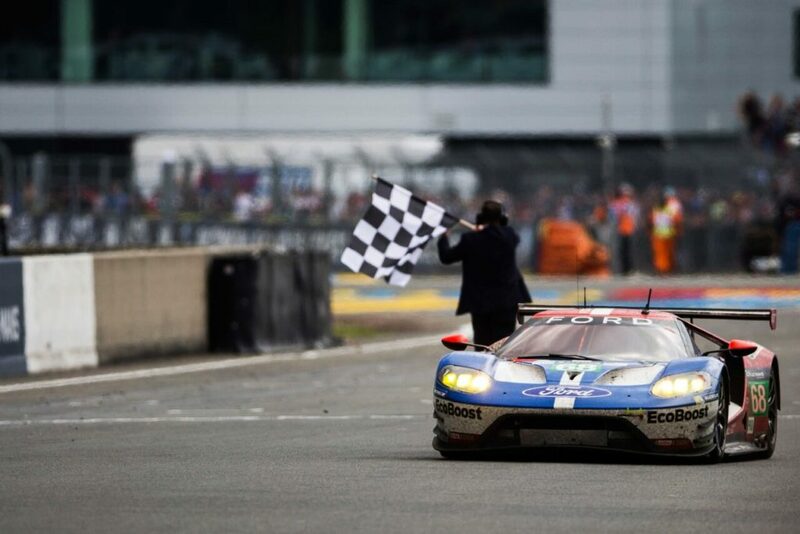 In a bold move, the Ford GT ran the 2016 edition of the Le Mans endurance race. Facing a lineup of vehicles that had years to prepare, the GT tackled Le Mans before it was even available for sale to the public – and won! Now, there is one slight hitch in our plans to rub our GT in our Acura colleagues’ faces: the GT is not going to be sold by dealerships, but will rather be awarded to a few hundred lucky drivers based on an online application. But there is still hope for us getting to spend time with this incredible machine! Repairs and basic maintenance on the GT aren’t as basic as they are for, say, a Ford Taurus, so every Ford GT is going to have to make the occasional trip to a Ford dealership. And if we have any say in it, we’ll be getting outfitted to offer that service. After all, if you own a $400,000 supercar, you deserve free coffee and wi-fi while you wait for your oil change. And we would love for that coffee and wi-fi to be ours!